Heartland Insurance Services finds you great plans and prices. The right insurance policy will provide protection against unfortunate events that may occur. Heartland Insurance Services offers residents and companies in Bushnell, IL and surrounding counties the ability to select the right level of insurance coverage to meet their expected needs and liability concerns. It is our mission to make sure that the last thing you have to worry about in an emergency is if you will have the funds needed to recover. We will have your back. Regardless if you are buying a new car, or planting a field, you can be confident that our team has the right policy for you and your family! From auto insurance to health care we have it all. We pick and choose the best coverage and plans from the largest insurance companies in the country. Our selections enable you to benefit from a wide range of coverage options that fit any budget. With the Progressive Quote tool, you can see the best auto insurance rates available in our area and compare them with other competitors to make sure you are getting a fair price. Our team of insurance experts will help you find the right combination of policies to guarantee you, and your family’s, financial well being if an accident were to occur. Pick the policy that perfectly meets your needs. As members of our community, we strongly believe in providing only the finest level of service possible. By comparing similar policies offered by some of the largest companies, we are able to offer you the best possible rates for the level of coverage you need. Heartland Insurance Services is an insurance agency focused on helping our friends and neighbors obtain the policies needed to protect themselves against accidents, crimes, and unfortunate healthcare events. 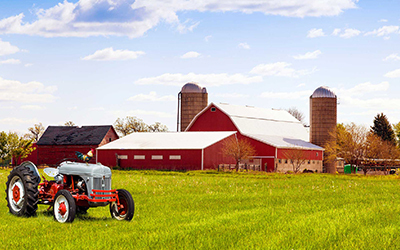 We help farmers, private individuals, and businesses throughout Western Illinois. © 2019, Heartland Insurance Services. All Rights Reserved.